According to a report by the Associated General Contractors of America (AGC), a majority of firms plan to expand their staff in 2018, if they can find the workers. Michigan construction firms are no exception, and the report notes that 72 percent of Michigan construction firms expect to increase their “headcount” from one to more than 25 in 2018. Concurrently, 61 percent of Michigan construction firms reported “having a hard time filling both salaried and craft worker positions.” As a result, in accordance with the laws of supply and demand, construction firms are upping the offers for potential workers. 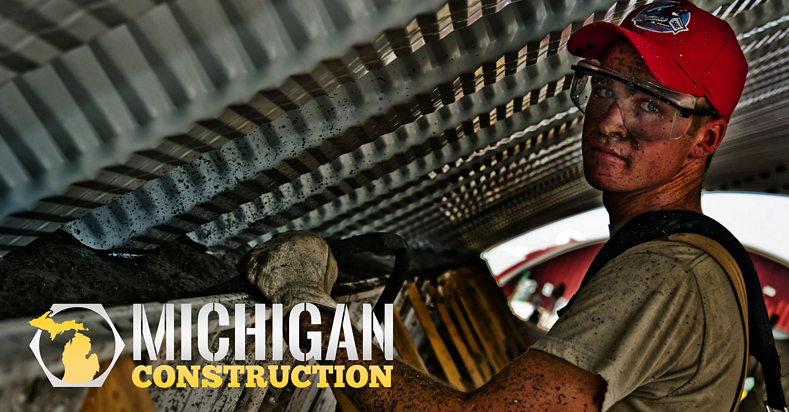 Backing that up, the AGC report states that 61 percent of Michigan construction firms increased pay to recruit or retain salaried /hourly craft workers in 2017, 18 percent paid more overtime, 48 percent provided incentives /bonuses, and 27 percent increased their contributions and/or improved employee benefits. Looking to 2018, 48 percent of firms plan to increase their investment in training, while 48 percent will continue at the same rate. That’s good news for unskilled job seekers in Michigan who are looking for a way to build a solid career! More and more employers are hiring untrained workers and providing the education they need to become skilled and safe on construction jobs. At the same time, the need to train construction workers has helped certified programs gain acceptance to many financial aid programs for veterans, the disabled, Native Americans, and others through agencies like Michigan Works! Another avenue job seekers can explore is through apprenticeships and other on-the-job training programs. Michigan Construction partners with companies across the state to help them recruit, hire and train a strong construction workforce, a trend that continues to grow as the labor shortage goes on. Apprenticeships are especially beneficial as they generally offer not only no-cost training but a paycheck as well. To locate an apprenticeship in Michigan, try the U.S. Department of Labor’s Apprenticeship Finder or check out career and training opportunities available right now at Michigan Construction partner firms. Michigan Construction is proud to offer MC READY Going PRO: a paid apprenticeship readiness program designed to build the foundation for a career in construction. Participants will receive training from education partners Greater Michigan Construction Academy, Lansing Community College, and AIS Heavy Training Center. They will transition from training to on-the-job-learning and apprenticeships with employer partners Davis Construction, Mackenzie Companies and M.L. Chartier. To learn more about how the program combines classroom and hands-on learning in a pathway direct to an apprenticeship, read and download our program description.